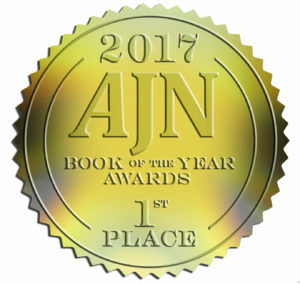 Washington, DC – The American Journal of Nursing, the “leading voice of nursing since 1900”, announced their 2017 Book of the Year Award winners today in 19 categories encompassing various aspects of nursing practice. These awards serve as a way to acknowledge high-quality publications among the nursing profession. The Alliance of Nurses for Healthy Environments (ANHE) is honored to announce that the etextbook Environmental Health in Nursing (2016) was awarded first place in the environmental health category. Environmental Health in Nursing, published by ANHE and edited by Jeanne Leffers, PhD, RN, FAAN, Claudia M. Smith, PhD, MPH, RN-BC, Katie Huffling, RN, MS, CNM, Ruth McDermott-Levy, PhD, MPH, RN, and Barbara Sattler, DrPH, RN, FAAN, is an evidence-based, peer-reviewed, and open access textbook for nurses and other health professionals that offers essential information on environmental health topics. The textbook is freely accessible online and is divided into nine units, including topics such as toxic chemicals, climate change, and environmental health nursing advocacy and research. In this publication leading environmental health nursing experts have joined together to share their knowledge, expertise, and experiences. The Alliance of Nurses for Healthy Environments is currently working on a second edition of the online textbook. If you are interested in contributing to this edition please contact education work group co-chairs Ruth McDermott-Levy and Kathryn P. Jackman-Murphy.